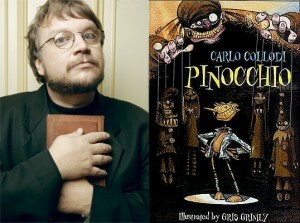 Guillermo Del Toro Is Directing ‘Pinocchio’ For Jim Henson Co.!!! God news, everyone. 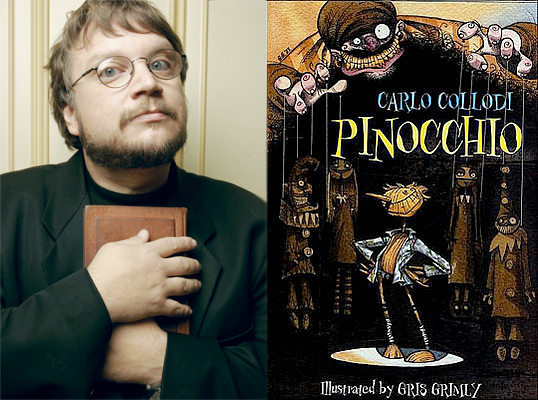 Guillermo Del Toro will co-direct ‘Pinocchio’ with Mark Gustafson. The project will be a 3D stop-motion animated production of the Jim Henson Company. Gustafson was the animation director on Wes Anderson’s ‘Fantastic Mr. Fox’, so I expect this version of ‘Pinocchio’ to be similar. The project is planning to start shooting in summer of 2013 and it will be the first animated feature for Del Toro. The film will be set in Italy during the gap between WWI and WWII. Del Toro said, “It was when everyone was behaving like a puppet, except for puppets.” He went on to say, “Little by little, I realized that I should direct – – to the point of collecting puppets along with original art from Disney’s 1940 “Pinocchio.” The story has had a profound effect on him according to Variety. Del Toro said no casting decisions have been made but noted he’s considered Tom Waits for the role of Pinocchio’s father and Donald Sutherland for the role of the fox. This is why Guillermo Del Toro is the coolest direct around today. I can’t wait. Buffy the Vampire Slayer (The Movie) is coming to Digital HD and Blu-ray! This entry was posted on Thursday, May 10th, 2012 at 10:27 am	and is filed under Film, News. You can follow any responses to this entry through the RSS 2.0 feed. You can skip to the end and leave a response. Pinging is currently not allowed. « The ‘Gangster Squad’ Trailer is Up!!! Looks Great!! !